We can't believe November is here and Thanksgiving is only a few weeks away. 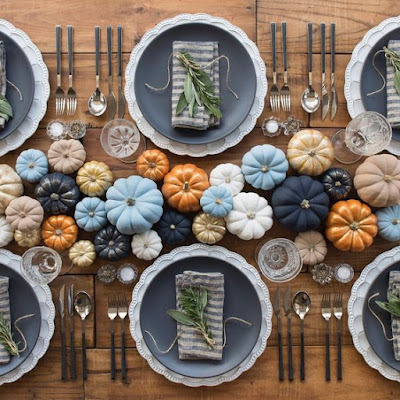 One of the things we love most about Thanksgiving is being able to sit down to share a delicious meal with people we love. It's really the only time of the year that we eat some of these foods. I'm not a huge turkey fan but feel it's a must for Thanksgiving!! 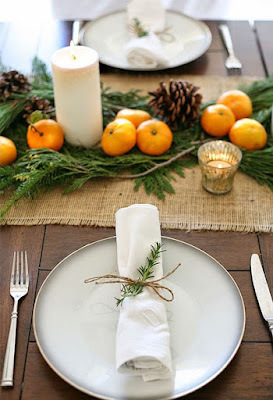 Over the years we've done Thanksgiving with friends, with family, at the beach and at home. 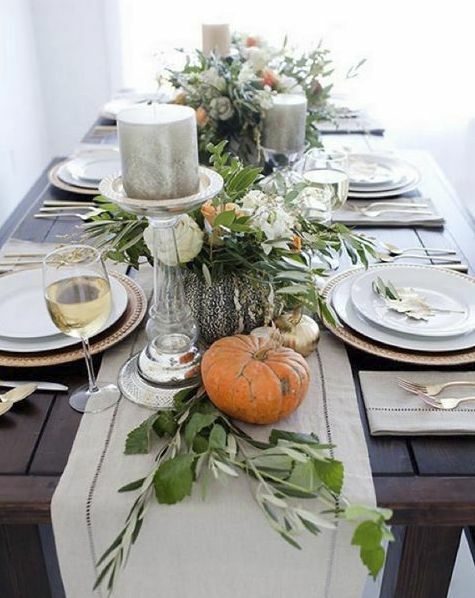 But no matter where you do Thanksgiving, it's easy to put together a pretty table. Candles, pumpkins and pieces from your backyard can make a gorgeous and easy table centerpiece. 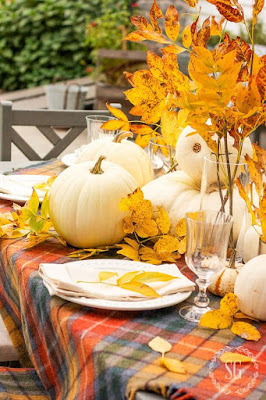 Pumpkins are easy to find and make the perfect base to a centerpiece. 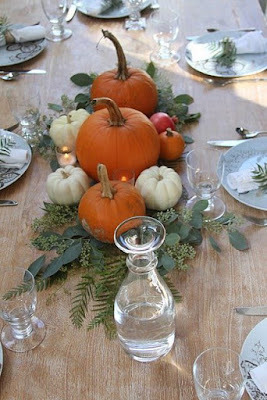 The white pumpkins are our favorites, they just look so classy and elegant while still being laid back and simple. 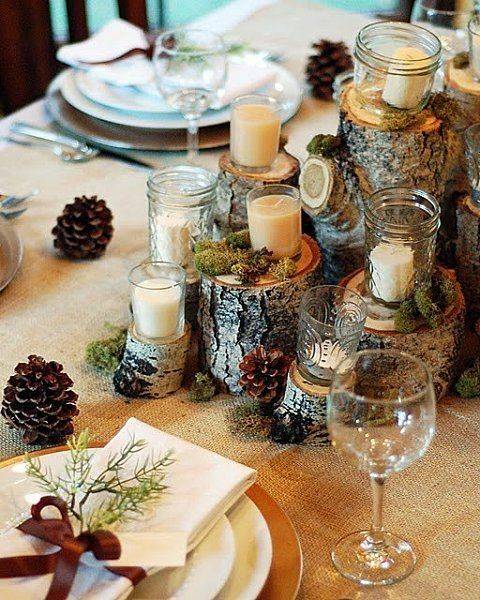 Wood accents give such a natural look to your table. It's both rustic and elegant. 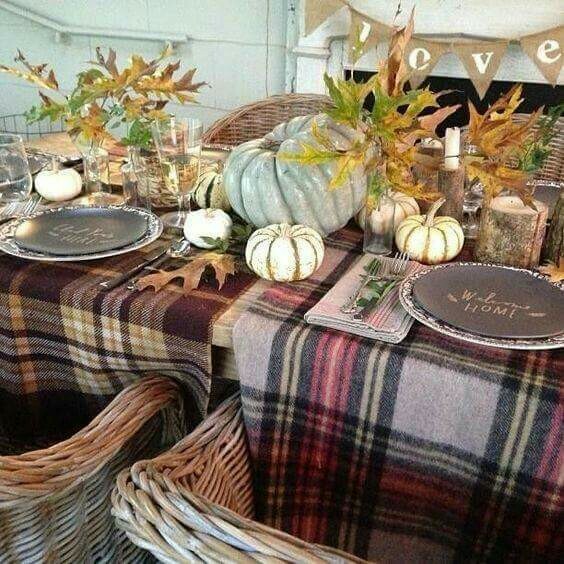 Use your cozy plaid throw or large blanket scarf as a tablecloth to give a laid-back look to your Thanksgiving table. It adds great color and keeps the look relaxed. 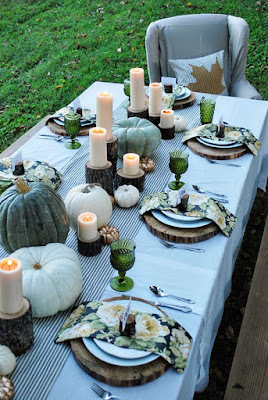 For those that don't have a lot of time, or are prone to procrastinating, these are simple table looks that can be thrown together at the last minute. 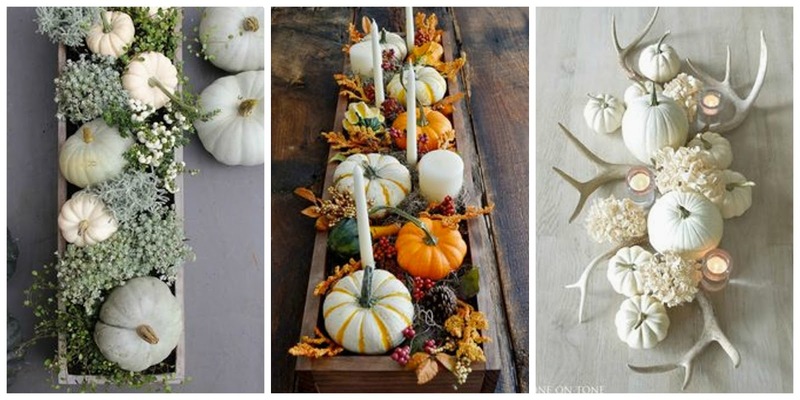 Grab your pumpkins and some greenery from your yard. Add some extra color by spray painting your pumpkins to match your decor. Use clementines and pinecones for a cute and fresh look. 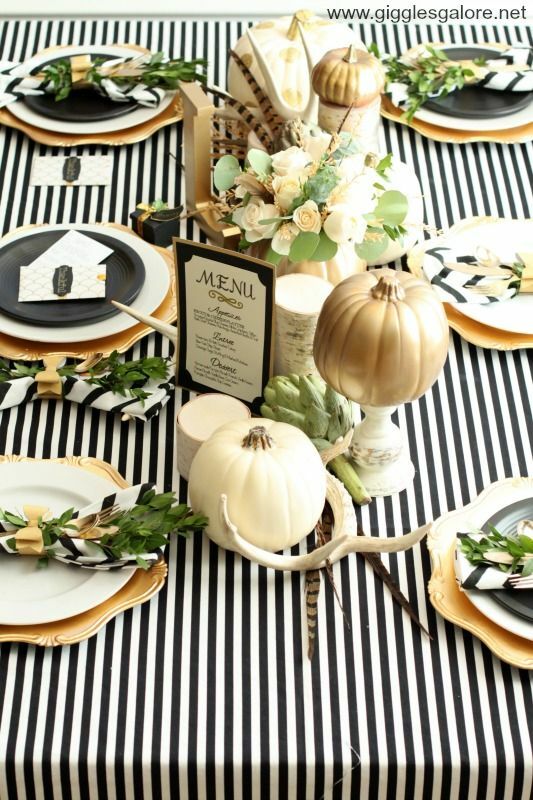 How stunning is the gold with black stripes!? And the metallic silver?! 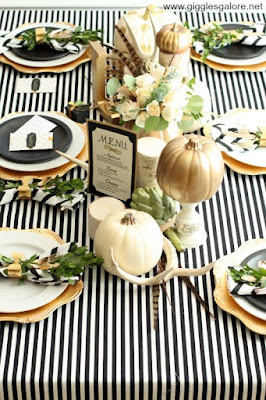 If you like a fancier Thanksgiving table, we love metallic touches!